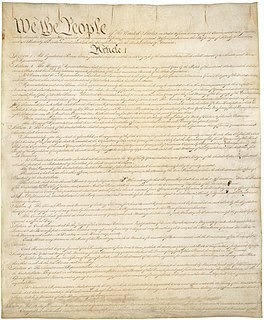 Title 28 is the portion of the United States Code that governs the federal judicial system. 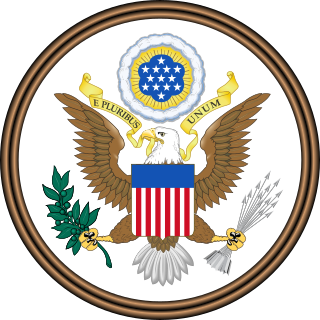 Under the Appointments Clause of the United States Constitution, the officeholder is nominated by the President of the United States and appointed with the advice and consent of the United States Senate. The U.S. Constitution provides that civil officers of the United States, which would include the U.S. Attorney General, may be impeached by Congress for treason, bribery or high crimes and misdemeanors. The United States Attorney General may be removed at will by the President of the United States under the Supreme Court decision Myers v. United States , which found that executive branch officials may be removed without the consent of any entity. In cases of the federal death penalty, the power to seek the death penalty rests with the U.S. Attorney General. 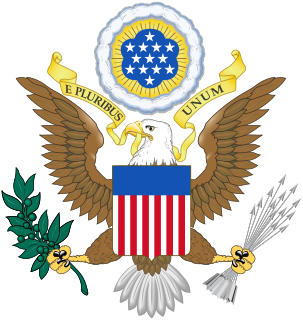 The Appointments Clause is part of Article II, Section 2, Clause 2 of the United States Constitution, which empowers the President of the United States to nominate and, with the advice and consent (confirmation) of the United States Senate, appoint public officials. Although the Senate must confirm certain principal officers, Congress may by law delegate the Senate's advice and consent role when it comes to "inferior" officers. 1 2 3 Served as acting attorney general in his capacity as deputy attorney general, until his own appointment and confirmation as attorney general. 1 2 On August 27, 2007, President Bush named Solicitor General Paul Clement as the future acting attorney general, to take office upon the resignation of Alberto Gonzales, effective September 17, 2007. On September 17, President Bush announced that Assistant Attorney General for the DOJ Civil Division Peter Keisler would become acting attorney general, pending a permanent appointment of a presidential nominee. According to administration officials, Clement became acting attorney general at 12:01 am September 17, 2007, and left office 24 hours later. Keisler served as acting attorney general until the confirmation of Michael Mukasey on November 9, 2007. The Office of Legal Counsel (OLC) is an office in the United States Department of Justice that assists the Attorney General's position as legal adviser to the President and all executive branch agencies. 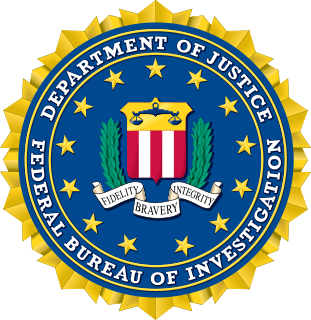 The Director of the Federal Bureau of Investigation is the head of the Federal Bureau of Investigation, the United States' primary federal law enforcement agency, and is responsible for its day-to-day operations. The FBI Director is appointed for a single 10-year term by the President of the United States and confirmed by the Senate. The FBI is an agency within the Department of Justice (DOJ), and thus the Director reports to the Attorney General of the United States. Matthew George Whitaker is an American lawyer and politician who served as the Acting United States Attorney General from November 7, 2018, to February 14, 2019. He was appointed to that position by President Donald Trump after Jeff Sessions resigned at Trump's request. Whitaker had previously served as Chief of Staff to Sessions from September 2017 to November 2018. William Pelham Barr is an American attorney who currently serves as the 85th United States Attorney General, having previously served in the position from 1991 to 1993. He began his current term on February 14, 2019. 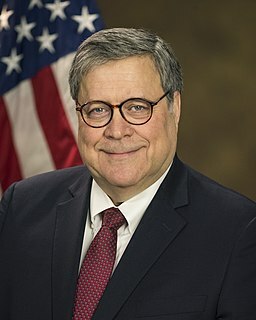 Before becoming attorney general the first time, Barr held numerous other posts within the Department of Justice, including serving as Deputy Attorney General from 1990 to 1991. He is a member of the Republican Party. Patrick F. Philbin is an American lawyer who serves as Deputy Counsel to the President and Deputy Assistant to the President in the Office of White House Counsel in the Donald J. Trump administration. He previously served as a political appointee in the Department of Justice during the George W. Bush administration. Glenn Alan Fine is the Acting Inspector General of the Department of Defense. He has served in that position since January 2016. 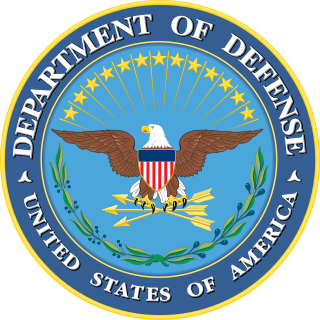 He joined the Department of Defense Office of Inspector General in June 2015. Stuart Michael Gerson was the acting Attorney General (AG) during the Clinton Administration, serving in the early months of 1993. Rod Jay Rosenstein is an American attorney serving as United States Deputy Attorney General since 2017. Prior to his current appointment, he served as a United States Attorney for the District of Maryland. At the time of his confirmation as Deputy Attorney General in April 2017, he was the nation's longest-serving U.S. Attorney. Rosenstein had also been nominated to the United States Court of Appeals for the Fourth Circuit in 2007, but his nomination was never considered by the U.S. Senate. 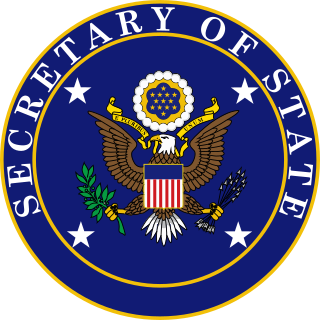 The Federal Vacancies Reform Act of 1998, et seq., is a United States federal statute that establishes the procedure for a filling a vacancy in an appointed officer of an executive agency of the government during the time before a permanent replacement is appointed. Dana James Boente is the former United States Attorney for the Eastern District of Virginia. He also served as acting assistant attorney general for the National Security Division of the United States Department of Justice. On October 27, 2017, Boente announced he would resign from the Department of Justice after a successor is in place. 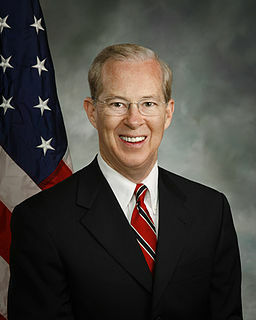 On January 23, 2018, Boente was named general counsel to the FBI by the director Christopher A. Wray, filling the vacancy after James Baker's reassignment to another part of the bureau. Executive Order 13775 is the eleventh executive order signed by U.S. President Donald Trump. Signed on February 9, 2017, the order changes the line of succession for the Department of Justice (DOJ). This order specifically reverses changes made to the DOJ line of succession that former President Barack Obama made in executive order 13762. Steven Andrew Engel is an American lawyer who is the United States Assistant Attorney General for the Office of Legal Counsel in the Donald Trump administration. Engel, who previously worked in the George W. Bush administration as Deputy Assistant Attorney General in the Office of Legal Counsel, was nominated by President Donald Trump on January 31, 2017, and confirmed on November 7, 2017. 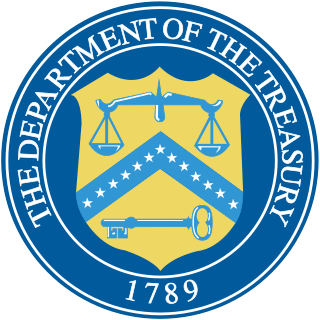 Makan Delrahim is an Iranian-American lawyer who serves as Assistant Attorney General for the Antitrust Division of the U.S. Department of Justice. Brian Allen Benczkowski is an American lawyer who currently serves as the Assistant Attorney General for the Criminal Division of the United States Department of Justice. Prior to assuming his current role, he was a partner at Kirkland & Ellis. Jessie Kong Liu is an American attorney who is the United States Attorney for the District of Columbia. She previously worked as deputy general counsel at the U.S. Treasury and served at the Justice Department. She was nominated to the position of Associate Attorney General of the United States by President Donald Trump in March 2019, but withdrew her name from consideration later that month. Chad Andrew Readler is a United States Circuit Judge of the United States Court of Appeals for the Sixth Circuit and former and Principal Deputy and former Acting Assistant Attorney General for the United States Department of Justice Civil Division. 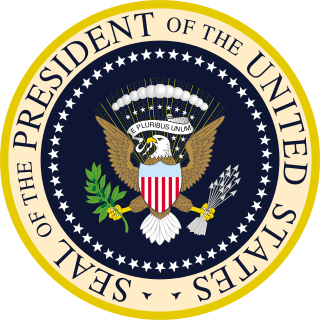 ↑ "3 U.S. Code § 19 - Vacancy in offices of both President and Vice President; officers eligible to act" . Retrieved November 7, 2018. 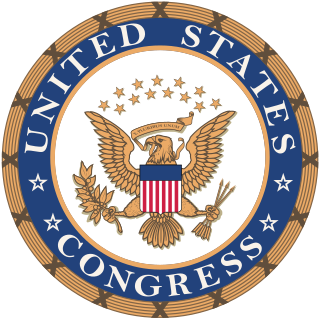 ↑ "Impeachment | US House of Representatives: History, Art & Archives". history.house.gov. Retrieved July 29, 2018. 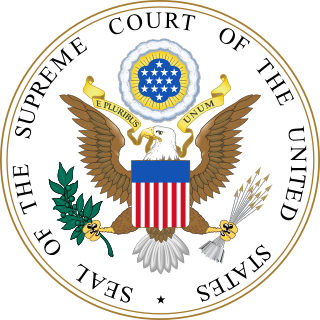 ↑ The common law further suggests that the president has the power to remove an official engaged in purely executive functions or whose duties immediately affect the ability to fulfill his constitutional responsibilities ( Bowsher v. Synar , 1986). ↑ Fandos, Nicholas; Benner, Katie (2019-02-14). "Senate Confirms William Barr as Attorney General". The New York Times. ISSN 0362-4331 . Retrieved 2019-02-14. 1 2 Stern, Laurence; Johnson, Haynes (May 1, 1973). "3 Top Nixon Aides, Kleindienst Out; President Accepts Full Responsibility; Richardson Will Conduct New Probe". The Washington Post. Retrieved February 28, 2019. 1 2 Ifill, Gwen (March 12, 1993). "Reno Confirmed in Top Justice Job". New York Times. Retrieved December 12, 2008. She will replace Acting Attorney General Stuart M. Gerson, a holdover appointee from the Bush Administration. Ms. Reno said he resigned today. ↑ "Bush Text on Attorney General Nomination". NewsOK.com. The Oklahoman . The Associated Press. September 17, 2007. Retrieved September 18, 2007. ↑ "Opinion | Trump's Appointment of the Acting Attorney General Is Unconstitutional" . Retrieved 2018-11-15. ↑ "U.S.C. Title 28 - JUDICIARY AND JUDICIAL PROCEDURE". www.gpo.gov. Retrieved June 14, 2018. 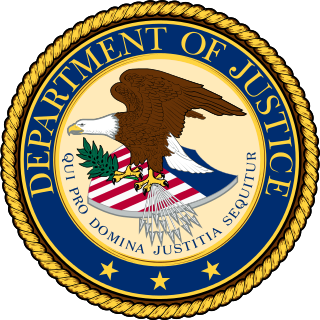 ↑ "Providing an Order of Succession Within the Department of Justice". Federal Register. April 5, 2017. Retrieved June 14, 2018.